from family, friends and Ollie pup. weekend as well. I'll be back on Monday! Caleb and Anna are two young children living with their father in the middle of prairie land in the late 1800s. It’s been years since their mother passed away and they see their father Jake’s loneliness every day. He decides to advertise for a wife and receives a reply from a woman is Maine. She describes herself as “plain and tall” and decides to visit them on a trial basis. Sarah plain and tall was a beautiful reminder that the story is not dependent upon at length. In just over 50 pages the author pulls you in, you need to motherless children you feel their loneliness and their desperation for someone to complete their family. With very few words we get to know their father and the tenderness that he has just below the surface. 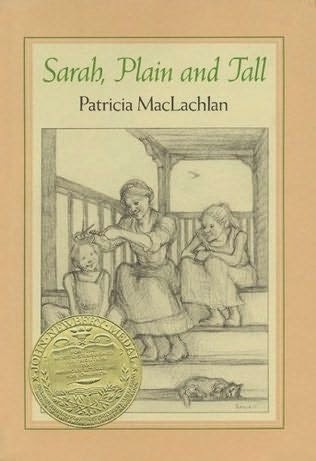 Then we meet Sarah and with her strength and her memories of the sea we fall in love with her along with the children and Jake up and we wonder will she stay? BOTTOM LINE: Just a beautiful story, crafted to give a glimpse into history while delivering an emotion punch. p.s. Did anyone else watch the 1991 Hallmark movie version of this with Glenn Close and Christopher Walken? I loved those movies! 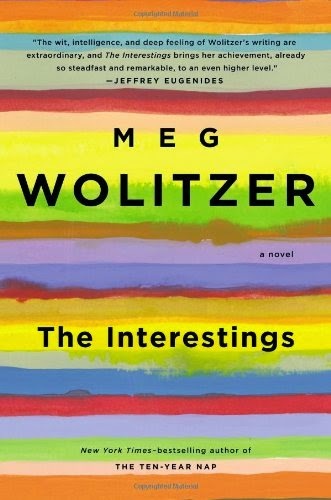 A group of six teens meet while attending an artsy summer camp and decide to call themselves The Interestings. There’s the wildly talented graphic artist Ethan, beautiful playwright Ash and her volatile brother Goodman, Jonah the sensitive son of a folk singer and the brash dancer Cathy. Then there’s Jules, the average girl through whose eyes we see much of their lives unfold. The story begins with their meeting in the 1970s and jumps around to present day and everywhere in between for the rest of the book. I'd heard mixed reviews of this one before starting it. I decided I needed a wide berth from both the hype and backlash before reading it. I'm so glad I waited. I listen to the audiobook and it was one of my favorites I've heard in a long time. The fascinating thing about The Interestings is the intimate way at taps into feelings we've all experienced. We see jealousy, frustration, resentment, rejection, heartbreak, etc. played out in the tight knit group. 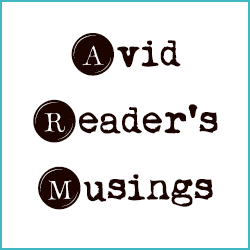 Those moments where we are all the most vulnerable as laid out for the reader to see. We watch the characters develop from enthusiastic and earnest teens into reflective adults, though the scars of their youth are always present just beneath the surface. They each allow some part of their teenage years to define who they are throughout their entire life. They are victims of abuse or the plain one longing for a different life. They are rejected lovers constantly trying to prove their worth or the cocky teen who no real goals. 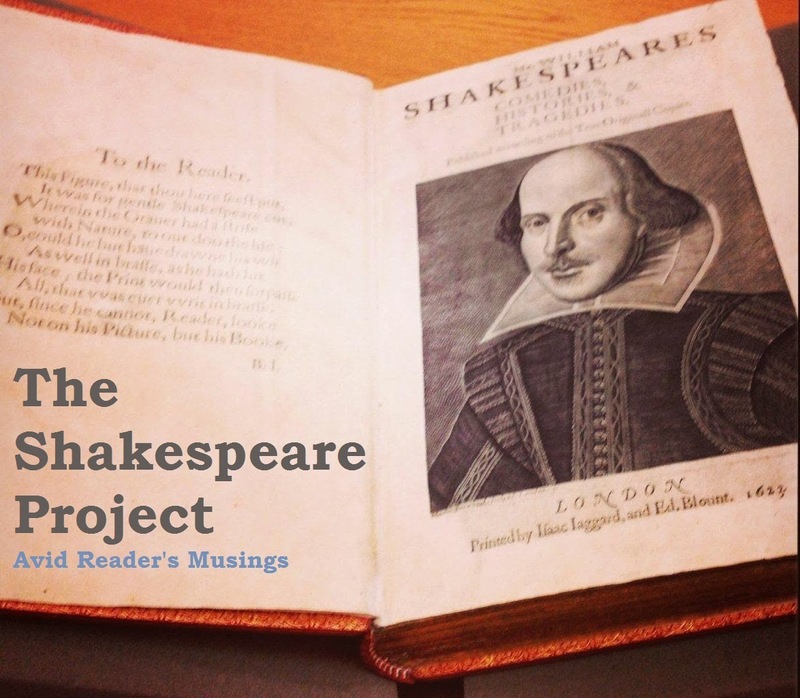 Each character rang true for me; they were people I could meet in real life. They struggle with the fears we all feel: should I love my children more, should I be self-conscious about my financial status, etc. I've heard many people criticize the books size of meandering style. In this case that worked well for me, because how often do our lives feel that way? Events happen and then are folded into the narrative, becoming part of every one's story in a different way. Truly one of the most interesting characters wasn't one of the Interestings at all. The spouse of one of the original group doesn't join the scene until after their roles are established, but he's able to give the reader unique view into their world. He's on the peripheral of the group, part of it, but never allowed into the inner circle. 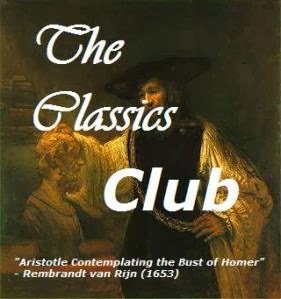 His perspectives help the reader to better understand the group, both their attraction and their destructive nature. BOTTOM LINE: I had such a hard time turning off the book each day and for me that's always a strong indicator of how I feel about it. Is the group self-involved, a bit narcissistic in the way they see themselves and their importance? Of course they are, but it's easy to be seduced into their world and I savored every self-absorbed second. 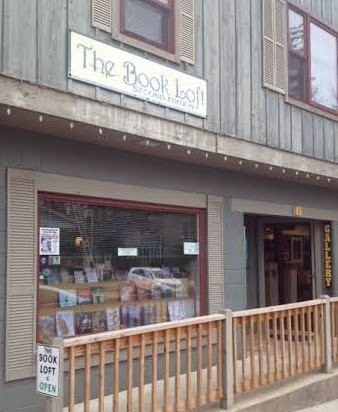 Whenever I travel I tend to find bookstores. A recent trip to Brown County in southern Indiana introduced me to two new ones. 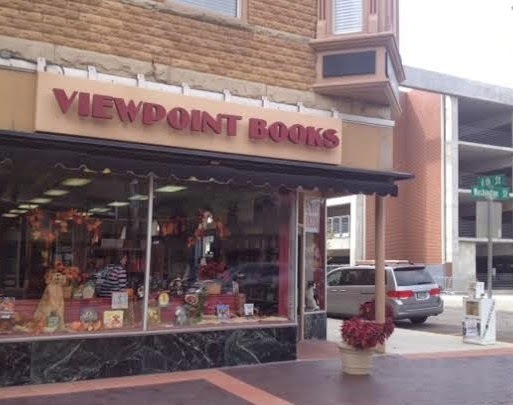 The first, Viewpoint Books, was in Columbus, IN. It's a little corner shop with a decent selection. If you find yourself in the area make sure you head all the way to the back to check out the small section of used books! I found a copy of a Steinbeck travel memoir that I hadn't read yet. The second shop was in downtown Nashville, IN. The town is an adorably sweet tourist spot with tons of little shops. We wandered and did some Christmas shopping for an afternoon. 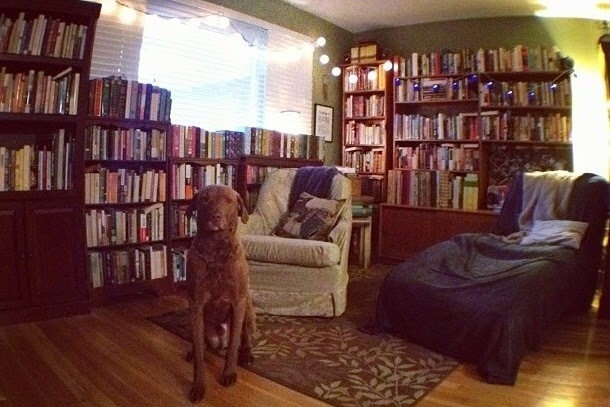 The best thing about The Book Loft was the excellent selection of antique books by Hoosier authors. I bought a copy of James Whitcomb Riley's poems from the early 1900s for only $10! Let me know if there are any great bookstores near you! I'd love to visit them if I'm ever in your area. The past two months, since getting back from our big trip, things have just been nuts. Our schedules haven’t seemed to slow down as we caught up at work, had a few out-of-town weekends, prepped for a huge work convention and got ready for the holidays. On top of that I made the mistake of starting a bunch of chunksters all at once. Honestly, I wasn’t trying to. It was a combination of factors. I realized I really needed to start Don Quixote if I was going to finish it in time to complete the Back to the Classics Challenge (I don't think that's going to happen). I was way behind on starting the final book of the #Trollope2014 Barsetshire series, then I randomly picked up a couple of the others at the library. Anyway, it quickly spiraled and I found myself reading the following books either back-to-back or at the same time. Consequently I’m struggling to keep up reading momentum and my sanity. I just finished An American Tragedy, I’m done with The Interestings, and am nearing the end of Don Quixote. I’m still wading through the gigantic Last Chronicle of Barset and Mohicans and Brick Lane. I feel like I need to speed a couple weeks reading mysteries or YA or something really fun to balance things out again. Do you guys ever find yourselves lost in a sea of chunksters by accident? Or if you’re reading a huge book, do you ever struggle to keep up the momentum? 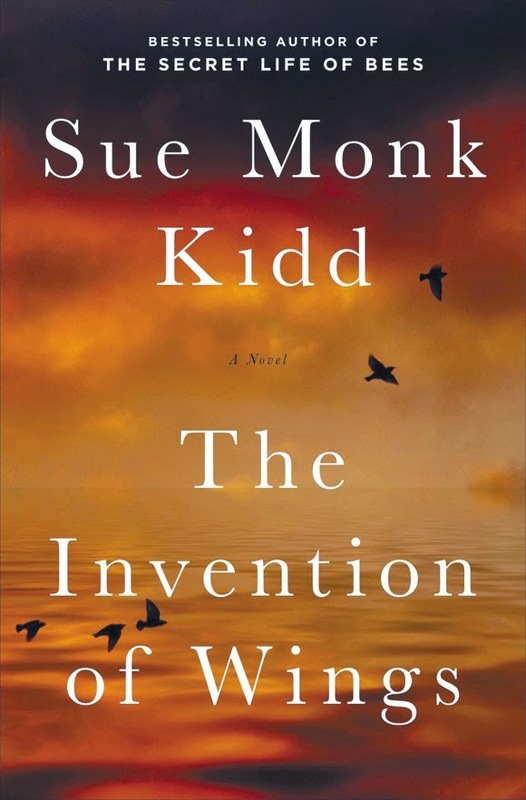 Set in the 1800s, Sarah is the daughter of a Charleston judge who receives a slave girl for her 11th birthday. The gift horrifies her, but is the beginning of a relationship that will change her forever. The plot follows the relationship between Sarah and her handmaid Hetty (Handful) over the course of their lives. Their intertwined lives change the way that both of them see the other race. They are both fighting against their very different forms of imprisonment they face and find solace in their bond. The audiobook version, which I listened to, includes a note from the author at the end. She explains where the inspiration for the book came from and tells the readers exactly which parts are fact and which are fiction. I absolutely loved that section. I had no idea until the book was over that Sarah Grimke and her sister Angelina were real people and groundbreaking forces for both the abolitionist and feminist movements. Knowing that gave the entire book a different weight for me. I was also reminded of the timeless struggle we all face to align the person we want to be with the person our family expects us to be. It's amazing that it can be so much more difficult to stand up to our families than it is to take a stance in front of strangers. There something about the way we are treated when we’re young that makes us revert to a specific mentality whenever we’re around our siblings and parents. We become the bossy one, the baby of the family, etc. whatever role we were pigeonholed into when we’re young and we can't seem to shake them when we're back home. The book deals with some heartbreaking looks at slavery and the casual way it was accepted in the South. One of the best examples in the book of the difference between the way the slave see themselves and the way their white owner see them is their names. Each slave has a name that's given to him by his owner when he's born, but they also are given a name by their mother and that's their true name. Hetty was truly “Handful” throughout her life to everyone other than the “masters.” Throughout a slaves life they live with that dichotomy, who they really are and then who they are as a slave. BOTTOM LINE: Well written and interesting, I just wish I’d known it was based on a real pair of sisters from the beginning. To me, that’s the most incredible part of the story. 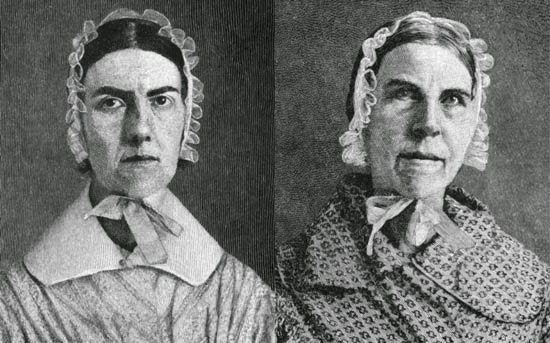 I loved learning about the Grimke sisters. I can’t imagine being born into a slave-owning family and then becoming a leader in the fight against slavery. It’s just incredible. The third and final stop on our trip was Fiji! We flew into Nadi and then took a shuttle to our resort. It was a brilliant decision to end the trip with a few days of relaxation. The exchange rate is also strongly in favor of the US dollar there, so it was really affordable! We spent a couple days laying around and relaxing on the beach. One day we went snorkeling in the middle of the coral reefs, which was incredible! We drank from a fresh coconut, saw brilliantly colored fish up close, tried kava, and had an amazing time. I'd never stayed in a resort before, but it was so nice to have everything in one place. We were there to try to slow down and it was just lovely. Everyone refers to it as "Fiji Time" meaning things are going to happen whenever they happen. The beaches were clean and beautiful, the people were friendly, the food was good and there were lots of tropical cocktails to enjoy! All-in-all it was truly the trip of a lifetime. We saw so many unbelievable things, but honestly one of my favorite parts was getting to share my love of international travel with my husband. Other than a mission trip to Mexico, we had never traveled outside of the country together. It was so much fun for me to share that with him. Staying in hostels, eating picnics from the grocery store in small city parks, people watching, exploring, I just loved it. If you're ever considering a vacation in Australia, New Zealand or Fiji I hope you'll email me with any questions! I'd love to give you tips or recommendations. Photos by moi. Please do not use without permission. We arrived in Sydney, Australia and took a train from the airport to Circular Quay. When we headed out of the station the very first thing we saw was the glorious sight of the Sydney Opera House looming at the edge of the harbor. It was just breathtaking. We made our way to our hostel in the Rocks. It had been an exhausting day and we were thrilled when we finally found it and could stop lugging our backpacks around. I had picked this specific hostel because of its view of the harbor. It had a rooftop terrace that gave you a panoramic view of the Sydney Harbor Bridge and Opera House. We spent some time there every single day because it was just the perfect view. Our first night there we took a bottle of wine with us and sat at a little table soaking up the view. It was amazing. We spent the next day exploring. We had a quiet breakfast at a little cafe where lorikeets landed nearby. We took a guided tour of the opera house (seriously, don't miss that, so cool!) and then walked through the Botanical Gardens. We had coffee at a little spot on the harbor that gave us a great view of the bridge. We wandered around the city, checking out the Queen Victoria Building, and finally went to the aquarium, which was honestly pretty skippable. We took a ferry from Darling Harbor to Manly Beach and grabbed some food and drinks. That night we meet fellow book blogger Brona for drinks, which was just a blast. The next day we took a tour of the Blue Mountains. I wanted to get out of the city for a bit, but I knew our time was limited, so it seemed like the best way to see as much as possible without a car. We went to a wildlife park, which was really cool. It wasn't like a zoo, many of the animals were just wandering around in the enclosed areas and you could pet them! 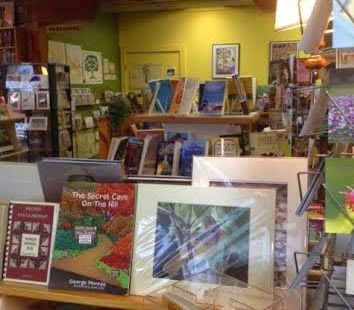 We visited a little mountain town where I found a bookstore! It was called Megalong Books and had a really great selection. We also got to see the 2000 Olympic Park, which has a ton of unique structures. On our final night in the city we went to dinner at the best seafood restaurant I've ever found. We had been rationing our dinners out, occasionally having picnics with grocery food, so we decided to splurge. It was a great way to say goodbye to the city. Sydney was so much larger than any of the cities we saw in New Zealand, but it had its own charm. I loved the bustle of the harbor. We saw the white sails of the opera house in rain and shine, in the morning and at sunset. The building just sets the mood for the whole city. I'll never forget seeing it for the first time. Picking up right where we left off yesterday, the Huz and I kept driving down the west coast of New Zealand's South Island. We made it to Franz Josef where we had scheduled a glacier hike. We would take a helicopter to reach part of the glacier. At the last minute the hike was cancelled due to high winds and we were so bummed! We decided to see if any of the scenic helicopter rides were still running and they were! We ended up flying over the Franz Josef Glacier and getting to land on top of one of the surrounding mountains! I'd never ridden in a helicopter and it was just amazing! You feel like you are floating and you can see for miles and miles. We wandered around the little town and had a long relaxing dinner as we watched the sunset behind the mountains. For a day when so many things went wrong, it worked out in our favor each time. It turned into one of the best days of our whole trip! The next day we had an incredibly long drive. We stopped at one of the bluest lake I've ever seen, Lake Wakatipu, and watched the clouds roll in over the mountains like a thick blanket of fog. We stopped at a winery for a tasting and left with a great bottle of Pinot Noir. We made it to Te Anau with enough time to check into our hostel and grab dinner before taking a ferry cruise across Lake Te Anau. We got to tour the glowworm caves, which you can't take any photos of. You go into a huge cave with waterfalls and low ceiling. Then you climb into a tiny boat and the guide takes you farther into the cave in pitch black. Then you start to see the glowworms, tiny dots of light on the walls and ceiling of the cave all around you. It's like looking into the night sky! The next morning we drove to the Fjordland National Park. We met our guide and headed out to kayak in Milford Sound. Our group had only four kayaks, including the guide. We paddled around the sound for more than 4 hours, stopping at one point to eat a snack (we stayed in our kayaks) and then heading off again. We went up to a waterfall and our guide told us all about the history of the area. The are no words that can adequately explain how beautiful Milford Sound was. It was peaceful and the water was so clear! We saw penguins swimming not far from us and then some seals came up and started doing somersaults in the water next to our kayaks. It was a surreal experience and by far my favorite thing we did. That night we did laundry and relaxed at our hostel before grabbing a delicious dinner in downtown Te Anau. 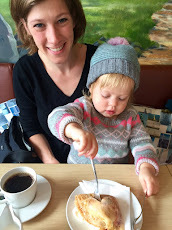 The next day we saw two huge rainbows over Lake Te Anau, a sweet way to start our last day in the country. In Queenstown we took the sky gondola up a mountain for a view of the surrounding area. We stood on the viewing deck in awe of the beauty we'd seen throughout the country. I've never seen water so blue or rolling hills so vibrantly green. Parts of the country reminded me of Ireland, others of San Francisco (Wellington), others of Florida (Nelson) and still others of Colorado and Montana (Franz Josef). The country is like a greatest hit album of our favorite vacations. Most of our favorite memories from the trip were in New Zealand. We both loved it so much and truly hope that one day we get to go back. Tomorrow I'll tell you about Australia! The Huz and I went on a huge trip, then I got home and work was crazy and I was playing catch-up with everything and didn't really post about it at all. So here is much belated post! I'm going to post about it all week long, so sorry for bombing you all with pictures! After a couple crazy long flights from the Midwest to the west coast of the United States and then all the way to New Zealand we finally made it to Auckland. We lost one bag, then missed one flight before making it to Wellington. At that point we could have been cranky and too tired, but we were so excited to be there! We checked in, dumped our bags and hit the town. Wellington is a gorgeous little city on a bay. Everything is within walking distance and we could have spent two weeks just hanging out there. We took a cable car up for a view of the city and bought lunch from food trucks. We had perfect blue skies for the entire time we were there. We spent a couple days popping into shops, bookstores, museums, breweries, cafes, etc. They have an espresso style coffee there called a long black that I had every morning. I took a Lord of the Rings tour, which included some trips to a rain forest and other areas outside the city. It was a fun way to see more out the area surrounding the city. There's also a great walk through the Botanical Garden that gives you a few spots to view the city. Any Lord of the Rings fans, or just movie buffs in general have to go to the Weta Workshop. You can tour it and see real props from LOTR, Avatar, King Kong, District 9 and tons of others. The nerd in me was giddy the day we went! When we finally left Wellington we took a ferry across the Cook Strait and rented a car in Picton. We drove to Nelson and passed vineyards and rolling hills the whole way. Nelson is a quiet little beach town and we had an incredible dinner on the water while we watched the sunset. The next day we drove to Lake Rotoiti for a picnic. There is so much to see along the drive. We drove all down the west coast and the mountains were amazing! Half the fun of the drive was stopping every hour or so to pull over and see another gorgeous view. It's insane how beautiful the whole country of New Zealand is. Since we got home we've talked about what we want to see the next time we go. It's just one of those countries that you can't help wanting to return to. In New Zealand you drive on the opposite side of the road, so that was terrifying. I drove for about 20 minutes one day, but the Huz drove the rest of the time. When we got home it took him a minute to switch back to right-side of the road thinking! We stayed in a few different little hostels down the coast. Each one had a unique feel and new people to talk to. It was pretty chilly, but every day we had great weather. We stopped at the Pancake Rocks before reaching Greymouth for the night. There were half a dozen dolphins swimming the the water around the rocks! It's hard to explain just how much we loved New Zealand. It was beautiful every single day, the people were insanely kind, the food was great, we just wanted to stay longer! I've only ever truly fallen in love with a few countries. I've enjoyed many, but there are just a few that steal a piece of your heart. For me that's England, Italy, Hungary, and now New Zealand. 2014 TBR Pile Challenge Complete!